Tomorrow is a great religious celebration and a day when many of the island residents celebrate their name day. It is Saint Gerasimos and Artemios celebration and many churches on the island hold a celebration after the morning service. 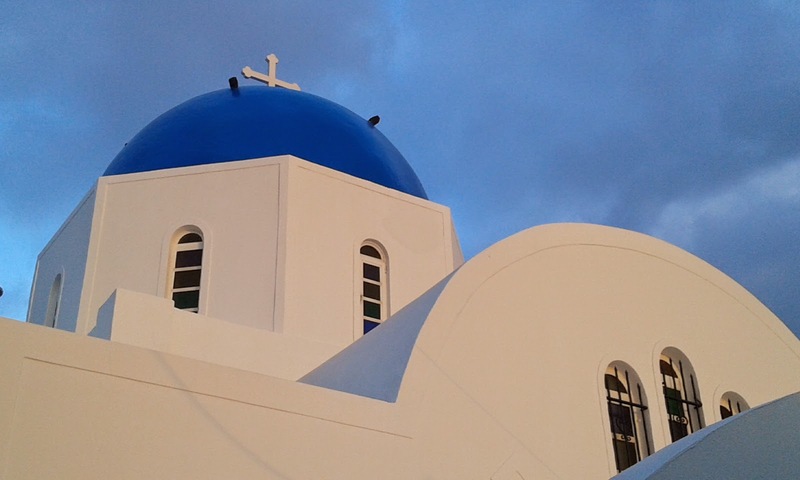 The beautiful main church of Firostefani with its blue dome, Agios Gerasimos, is located exactly on the path that connects Fira to Firostefani. Agios Artemios, the picturesque small church with the blue dome, on your left while driving from Vourvoulos to Oia on the road near the sea, celebrates tomorrow too. You will also recognize many other churches in Emporio, Messaria, Kontochori and elsewhere by their beautiful flags decorating them!